Information, updates and releases pertaining to the Fall Armyworm infestation in South Africa will be published below as and when it becomes available. The Integrated management of the Fall Armyworm on maize is another wonderful document developed by the FAO to assit farmers with the management of FAW. The present guide has been developed based on outputs from an intensive curriculum development writeshop organized from 21–25 July 2017 in Accra, Ghana by the Food and Agriculture Organization of the United Nations (FAO). The writeshop brought together researchers and Farmer Field School practitioners from West, Central, Eastern and Southern sub-regions of Africa, and entomologists and other researchers from the Americas with sound experience on FAW management. South African producers are advised to adhere to the rules and regulations in place for the control of fall armyworm (Spodoptera frugiperda) as this will aid the Department of Agriculture, Forestry and Fisheries (DAFF) to limit the pest’s spread and damage. These regulations were published on 26 May 2017 in the Government Gazette and available on our website. It is of utmost importance that producers notify authorities of any occurrence or suspected occurrence of fall armyworm in their fields. Authorities should also be given uninterrupted access to the production area to carry out their mandated tasks and with producer’s assistance, where needed. Failure to uphold these regulations will be breaking the law which may lead to prosecution or a fine imposed by the authorities. FAW confirmed in Bronkhorstspruit, Cullinan, Veereneging and Melapong). Present in the Witbank area and has been previously reported in other parts of the Nkangala district. Confirmed in the districts of Mopani, Vhembe and Waterberg. Unconfirmed cases around Groot Barn and Koster. National surveillance programme traps have been placed and serviced in Gauteng and placed but still require servicing, in Mpumalanga. Traps are currently being set up in the Eastern Cape, with plans in place to set up traps in the Northern Cape as well as KwaZulu-Natal. Furthermore, a trial has been planned to study the efficacy of the different lures as national surveillance traps generally catch a lot of false armyworm moths. In addition, a field protein kit for positive identification of fall armyworm is nearly ready. FAW infestation in certain parts of the country isn’t high (due to dry weather) but there’s a wide distribution. Potential for the pest to quickly grow and spread is high if the weather conditions improve. The recent La Nina condition (wet and cool) might change the situation, becoming favourable for the pest. Additionally, pest fact sheets have been translated into XiTsonga, SePedi, IsiZulu, SiSwati, and IsiNdebele and are available on the DAFF website. To report occurrence or suspected occurrence of the pest contact 012 319 6384 or e-mail JanHendrikV@daff.gov.za. Incorrect identification of the fall armyworm, as well as incorrect reporting of feeding on uncommon hosts, are usually due to the lack of good visual reference material. This presentation aims to address this shortcoming. The introduction of Fall Armyworm (FAW), a highly invasive pest into South Africa, has led to the establishment of a permanent FAW steering committee. The national status of the pest, surveillance, diagnostic capacity, damage assessment, pest management and control regulations are the points of deliberation for this committee. 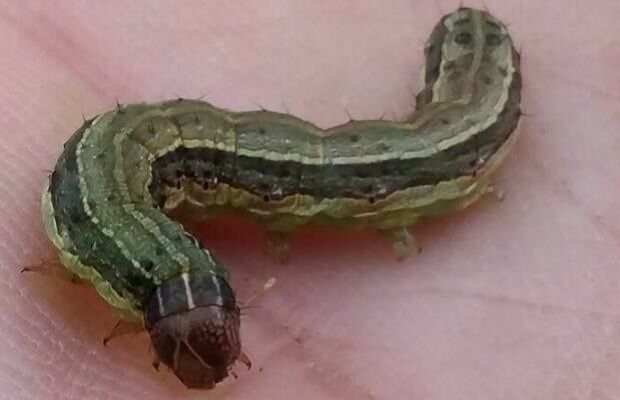 Grain SA, SANSOR and the Department of Agriculture Forestry and Fisheries (DAFF) contracted CROP WATCH AFRICA to setup an area wide surveillance grid in the Western Cape to monitor for the presence of the Fall Armyworm (FAW), a newly introduced invasive pest in South Africa. The initial surveillance program has kicked off in Limpopo, Mpumalanga and Kwa-Zulu Natal. Important to note that there were positive catches of FAW in the Thabazimbi, Groblersdal, Middelburg, Belfast and Komatipoort areas. Results of the monitoring in the summer grain production region will be reported as it becomes available. Further surveillance work in the summer grain production regions is anticipated. The introduction of Fall Armyworm, a highly invasive pest into South Africa, has led to the establishment of a permanent FAW steering committee. The national status of the pest, surveillance, diagnostic capacity, damage assessment, pest management and control regulations are the points of deliberation for this committee. 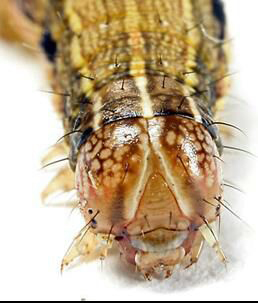 Grain SA, SANSOR and the Department of Agriculture Forestry and Fisheries (DAFF) contracted CROP WATCH AFRICA to setup an area wide surveillance grid in the Western Cape to monitor for the presence of the Fall Armyworm (FAW), a newly introduced invasive pest in South Africa. During the three-month period of surveillance, no Fall Armyworms were detected in the traps in all localities surveyed. With the end of the production season in the Western Cape, continuous surveillance of Fall Armyworm will remain a high priority. Over the next couple of months, the approach will change from area wide surveillance to early warning. Adopting this approach will ensure that if Fall Armyworm does enter the Western Cape, it will be detected and farmers can be made aware of the risks for the next season. 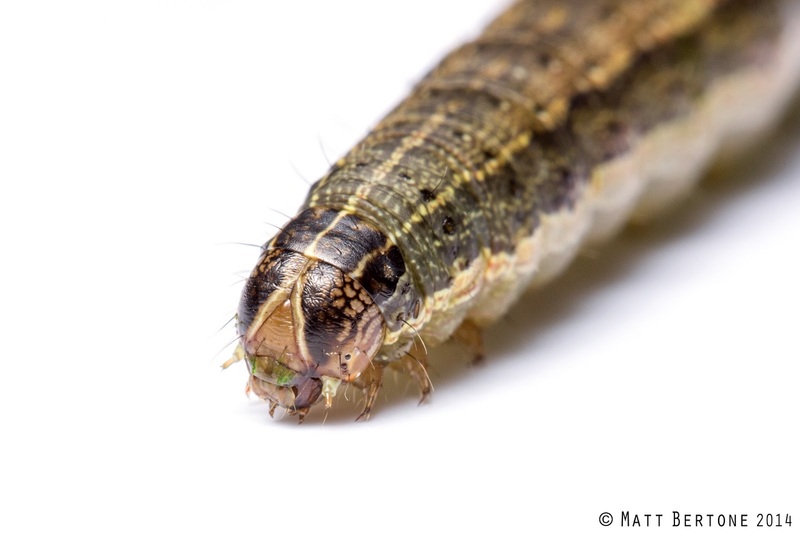 As part of an international consortium, INRA researchers, in partnership with the CEA and INRIA1, have sequenced one of the first genomes of a moth from the superfamily Noctuoidea: Spodoptera frugiperda, or armyworm. This crop pest – until now only known on the American continent – has become invasive in Africa since 2016. Published in Scientific Reports on 25 September 2017, this study opens up perspectives for new methods of biological control and a better understanding of the mechanisms involved in the appearance of pesticide resistance. The current Fall Armyworm outbreak has resulted in confirmed cases in all South African provinces except the Eastern Cape and the Western Cape. A recent confirmed case in the Eastern Cape was reported at the weekly Fall Armyworm Steering Committee meeting of 10 May 2017. Samples were collected and sent for positive identification which confirmed the species was now in the province. The pest has been reported in areas such as Port Shepstone, Port Edward, Port St Johns as well as some areas in KwaZulu-Natal province that lie on the border of the two provinces. Farmers in these and surroundings areas are advised to be especially vigilant and to scout their fields diligently even in the winter months as they may be ideal for the overwintering of the exotic pest. The latest updated list of registered products for the Fall Army worm can be downloaded below. The latest summary of active ingredients registered and the IRAC list for cross checking can be downloaded below. Grain SA arranged a special meeting between pertinent role-players to discuss different research initiatives against the FAW. The meeting was attended by DAFF, SANSOR, ARC-GCI and the North-West University. The main objective is to support producers in finding solutions to control and manage this pest. As a result, discussions focussed on research that would primarily assist producers in the short-term while medium- to long-term options were also debated. CLICK HERE to download the FAW Steering Committee Action Log, which covers surveillance, research, status, assessment, registration of chemicals and awareness initiatives. The latest updated list of registered products for the Fall Army worm can be downloaded here. The list has been updated to include Mode of Action; IRAC Group for Resistance Management and Crop which products are registered for. Download the Insecticide Resistance Action Committee (IRAC) Mode of Action Classification Scheme here. The IRAC Mode of Action (MoA) classification provides growers, advisors, extension staff, consultants and crop protection professionals with a guide to the selection of acaricides or insecticides for use in an effective and sustainable acaricide or insecticide resistance management (IRM) strategy. In addition to presenting the MoA classification, this document outlines the background to, and purposes of, the classification list, and provides guidance on how it is used for IRM purposes. Dr Marinda Visser, Bestuurder: Graan Navorsing & Beleidssentrum verskaf 'n kort statusoorsig oor die Amerikaanse-kommandowurm wat tot hede in 6 van die 9 provinsies geïdentifiseer is, wat Gauteng, Limpopo, Noordwes, Vrystaat, Mpumalanga en die Noord-Kaap insluit. “Producers who planted YieldGardII® Bt-maize containing Monsanto’s MON89034-technology this year, will have an additional advantage as it also offers protection against infestations of the Fall Armyworm (Spodoptera frugiperda),” according to Kobus Steenekamp, Managing Director Monsanto SA. In its endeavours to assist producers with the outbreak of Fall Armyworm in South Africa, the Department of Agriculture, Forestry and Fisheries (DAFF) with the established Plant Pest Action Group is urgently calling on all producers to notify Grain SA of any suspected Fall Army worm detected. Daily notifications and/or updates from our farmers with Fall Armyworm is encouraged as this information will assist with the Action Group’s planning. Complete the above information and e-mail to members@grainsa.co.za or Fax to 086 724 2764. Completed information will be kept strictly confidential and used for FAW Armyworm reporting purposes only. Grain SA presented an update on the Fall Armyworm (FAW) to its Maize Working Group in Bothaville, discussing the pests’ taxonomy and history, host range, economic importance, life cycle and status in South Africa. The Minister of Agriculture, Forestry & Fisheries, Senzeni Zokwana today held a press briefing following the confirmation of Fall Armyworm in South Africa on Friday, 3 February 2016. The Agricultural Research Council’s Plant Protection Research Institute positively identified Fall Armyworm from samples collected in Limpopo Province. The positive identification came after collected caterpillars pupated and emerged as moths, following which further positive identifications were done on collected moths from the northern parts of Gauteng. 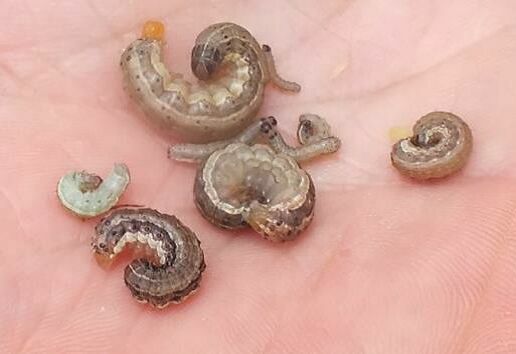 Fall Army Worm (FAW) is a quarantine pest for South Africa which has a wide host range and can affect crops such as maize, sorghum, soybeans, groundnuts and potatoes. Damage reported in South Africa so far is mainly on yellow maize varieties and especially on sweetcorn as well as maize planted for seed production. Reports of caterpillar damage have been received mainly from the Limpopo and North West provinces. The Department of Agriculture, Forestry and Fisheries (DAFF) today received a diagnostic report from the Agricultural Research Council, Plant Protection Research Institute (ARC PPRI) to confirm that the Fall Army Worm was positively identified from samples collected in the Limpopo Province. The samples were jointly collected by scientists from the ARC Grain Institute and the North West University. These were caterpillars that had to pupate and emerge as moths before a positive identification could be done. Please take note that chemicals are not registered in maize for Fall Armyworm. Therefore all application of chemicals must be carried out in consultation with chemical representatives. The Department of Agriculture, Forestry and Fisheries (DAFF) received several reports from farmers of an unidentified Lepidoptera pest causing damage to maize between 16 and 27 January 2017. However the pest was observed on maize by some South African producers since December 2016. Possible pest notifications of Spodoptera frugiperda, Fall Army Worm or FAW have already been received since the initial pest alert. Several possible outbreaks were reported in different areas in Limpopo, North West and the Free State and several specimens were collected by the ARC and NWU. There is a very high probability that FAW was indeed collected. Collected specimens will be identified by a taxonomist to confirm the presence of the pest.